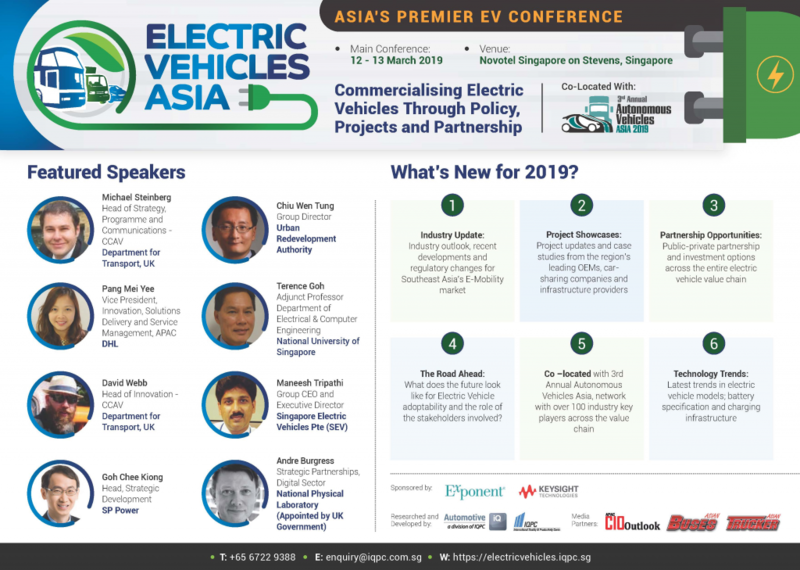 2nd Electric Vehicles Asia Summit will be co-located with 3rd Annual Autonomous Vehicles Asia on 12-13 March in Singapore, with over 100 industry key players across the value chain. What does the future look like for Electric Vehicle adoptability and the role of the stakeholders involved? Download the brochure to check the full speaker list and conference agenda.